Home full health checkup health health checkup Full Health Checkup - Have you got it done? 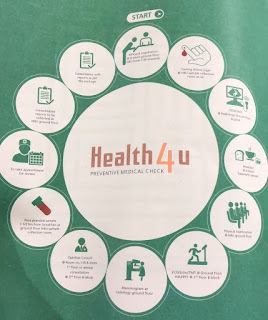 Full Health Checkup - Have you got it done? Have you ever wondered why most of us don’t go for a full master health checkup once in three or five years unless pushed by someone? Recently, pushed by multiple people, I decided to go for a one. Even though it was not mandatory, it is needed because someone of the scariest things happens to us when we are not paying attention to our body — both the mental and physical self. So, I ended up in one of the city’s most famous hospital, with connections to cricket (albeit that information hardly matters). If I thought the 12 hours fasting was a struggle for me, I didn’t know what I was about to face the next morning, would be testing my tolerance level more than hunger pangs. The biggest problem today is the lack of education and information about why one should get a full health checkup. Times have changed. The world has changed and we have corrupted the fresh air and fruits of nature with pollution of every kind. Moreover, the kind of lifestyle we live today is highly prone to diseases. Blame it on the climate change or our personal ignorance of the importance of a healthy living. And with that, we have forgotten the need to educate ourselves about the essentials of checkup and what kind is needed when — a thought that needs to be incorporated in our daily lives. Plus, the monotonous and robotic response to patient’s needs and thoughts is abhorrent. I landed up at the checkup counter five minutes before time and I was impressed by the prompt response of the lady at the reception. The steps were as such — Fasting for blood sugar, chest x-ray, ultrasonography, breakfast, physical examination by a doctor, ECG, gynecology consult, blood collection for postprandial and eye checkup. Till collection of blood and chest x-ray, everything went smooth. And then one's patience is pushed to the level of irritation and frustration. I admit it was my ignorance that I didn’t educate myself about the tests which I was about to undergo. For example, the need of having a full bladder for a USG was unknown. However, what stopped the lady at the counter to educate the people coming for a checkup? 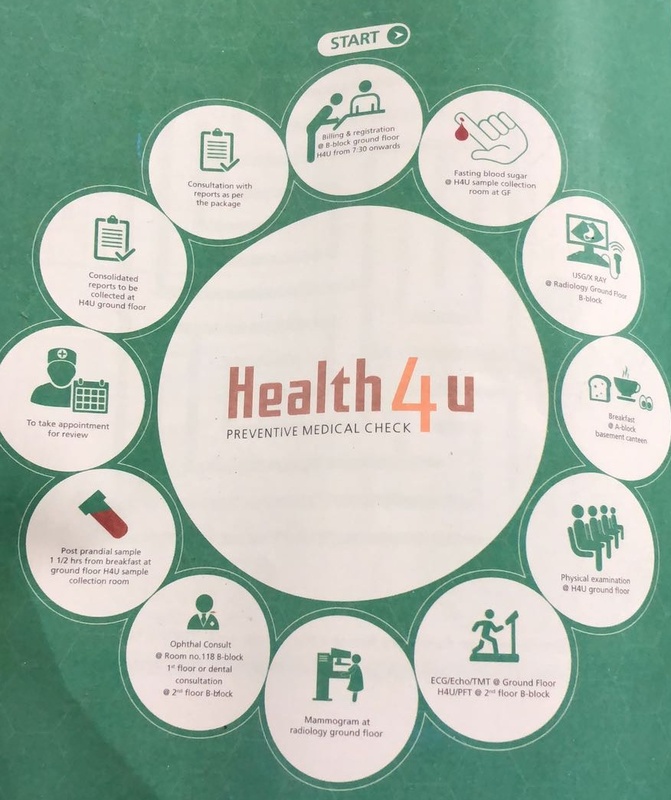 The moment a person seeking query about full health checkup arrives, before anything else, the person at the reception should sit with him or her and make the person understand the different tests. Rather, our system and upbringing have taught us to concentrate and focus on the price tag attached to it. It is about the different packages and schemes rather than the different tests and the need of it. The problem may also be that the person who is supposed to educate and inform the people or patient arriving for a checkup is also unsure and semi-informed about the tests. For the person it is about giving the leaflet, pointing the price and mentioning if it is women-centric or not. In between consultation with doctors, ECG, and completing the other tests — making sure each and every column of the sheet provided to me by the receptionist was filled with Time In and Out and doctor’s comments, I filled my bladder with breakfast and litres and litres of water. Despite that, the doctor at the USG room declared - “Bladder empty”. Finally, a 30-minute walk around the hospital after three tryouts at the USG, the bladder showed a sign of hope. And then the wait for gynae consultation. Here’s what I found out — The discussion about our reproductive system is still a taboo. We rather not discuss and talk and educate ourselves about the complexities of our body but hide behind the age-old thoughts. The hesitancy of “should we talk about the big S word and the Vs and Ps” is astonishing. These are doctors, who know the numbers and stats of how the rate of serious diseases have increased over the years, and yet they find it difficult to discuss with their patients. And then the decision of certain tests are not necessary only because of either “you are too young” or “you are unmarried” is quite laughable. If that very patient comes back two months later with the very complications that the doctor had ruled out because he or she is too young to have it, will these lifesavers turn back the clock? We often confuse the words prevention and precaution. To prevent we need to take precaution. But for our society, blame it on the culture or ignorance and naivety, precaution and prevention arise only when there is a moment of risk involved. Modern science has given us powers that our primitive shelves and ancestors were devoid of. Rather than utilizing them and sharing the information, we have tended to guard them as bedroom secrets behind stereotypes cultural stigma. One can only hope that time will be the teacher for all these. So now you know why people don’t go for full health checkups? P.S. Only because of this checkup, I came to know that I have thyroid.